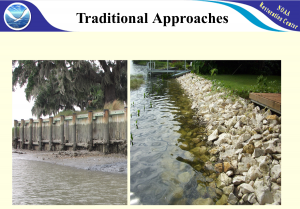 In 2015, NOAA released Guidance for Considering the Use of Living Shorelines to show how NOAA is encouraging the use of living shorelines. 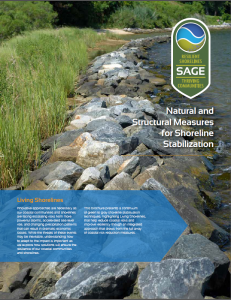 The document includes NOAA’s Living Shorelines Guiding Principles for considering living shorelines and a conceptual framework with 12 Guiding Questions to help determine the shoreline stabilization approach that will best balance shoreline stability with sustained coastal connections between land and water. The framework is specific to considering living shorelines for a site within the context of NOAA’s programs and authorities. 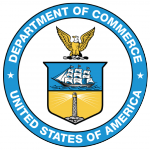 NOAA also works with partners to develop regionally specific documents that provide guidance on design techniques that are appropriate for specific regional conditions. NOAA and its partners have developed professional trainings and workshops to help build awareness about living shorelines and increase practitioner capacity. The following are some of NOAA’s training opportunities. 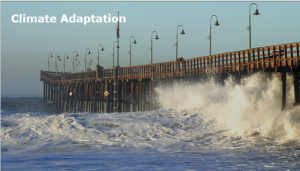 This three-day, instructor-led course provides a grounding on adaptation, including understanding climate science and impacts, identifying adaptation strategies (like living shorelines), and finding mechanisms to implement those strategies. There is time in class to apply what you learn to your local projects. 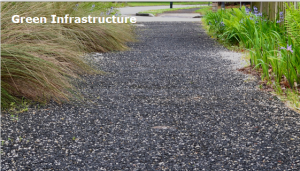 This day-long introductory workshop introduces participants to fundamental green infrastructure concepts and practices that can play a critical role in making coastal communities more resilient to natural hazards. NOAA partners with universities to create a network of 33 Sea Grant programs to implement national priorities at the local level, while also identifying citizens’ needs in order to inform state, regional and national research. This two-way flow of information and services ensures that Sea Grant solutions meet demonstrated needs, help support businesses, and enable policy-makers to make balanced, well-informed decisions. 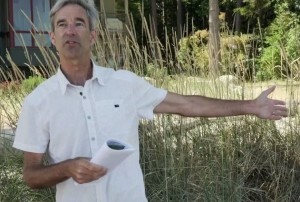 This collection of webinars from 2013-2014 serves to introduce and promote the concept of living shorelines, provide regionally specific living shorelines technique examples and case studies, and discuss regulatory challenges and solutions for using living shorelines. 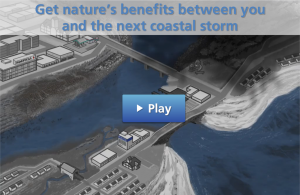 Video: An Introduction to Living Shorelines, in partnership with Restore America’s Estuaries.